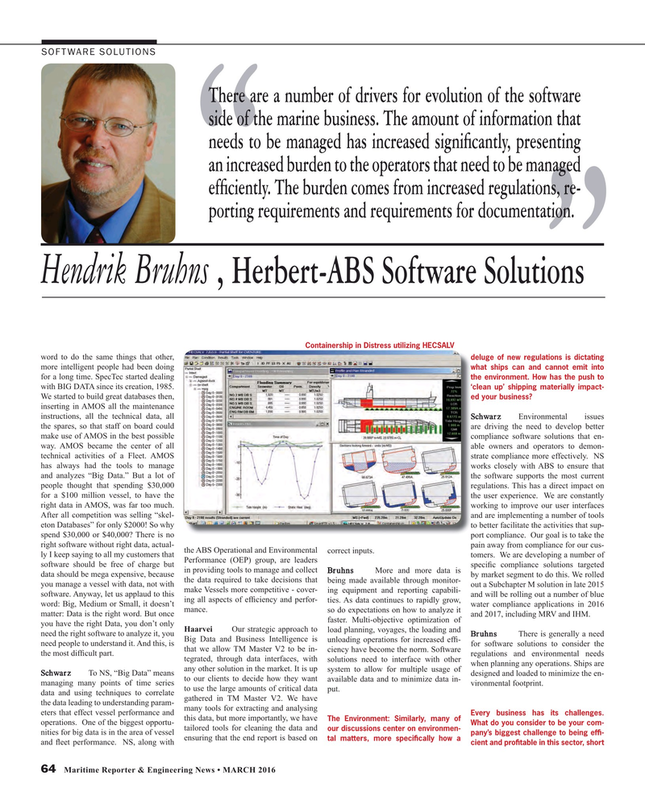 There are a number of drivers for evolution of the software side of the marine business. The amount of information that needs to be managed has increased signi? cantly, presenting an increased burden to the operators that need to be managed ef? ciently. The burden comes from increased regulations, re- porting requirements and requirements for documentation. We started to build great databases then, e ed your business? After all competition was selling “skel- a and are implementing a number of tools eton Databases” for only $2000! So why t to better facilitate the activities that sup- spend $30,000 or $40,000? There is no p port compliance. Our goal is to take the right software without right data, actual- pain away from compliance for our cus- the ABS Operational and Environmental correct inputs.